It then occurred to me to see if this subject had been tackled elsewhere. As expected, the internet came through with “A History of Detective Stories: Current Trends.” This essay begins with a general assessment of the genre and then moves to a discussion of the challenges posed to mystery fiction by rapidly emerging technologies. The subgenre that most appeals at the moment is listed above as “Classic reissues and rediscoveries.” I recently wrote a review of The D.A. 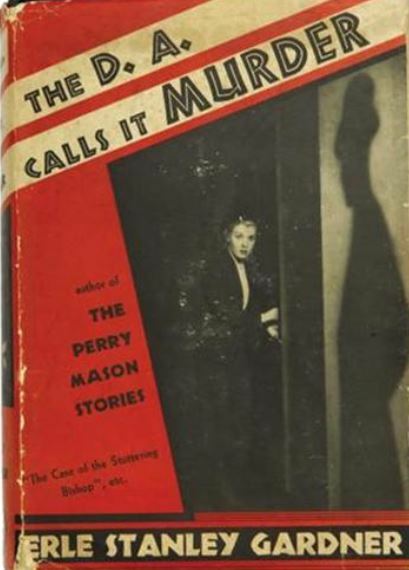 Calls In Murder, the first entry in Erle Stanley Gardner‘s Doug Selby series. 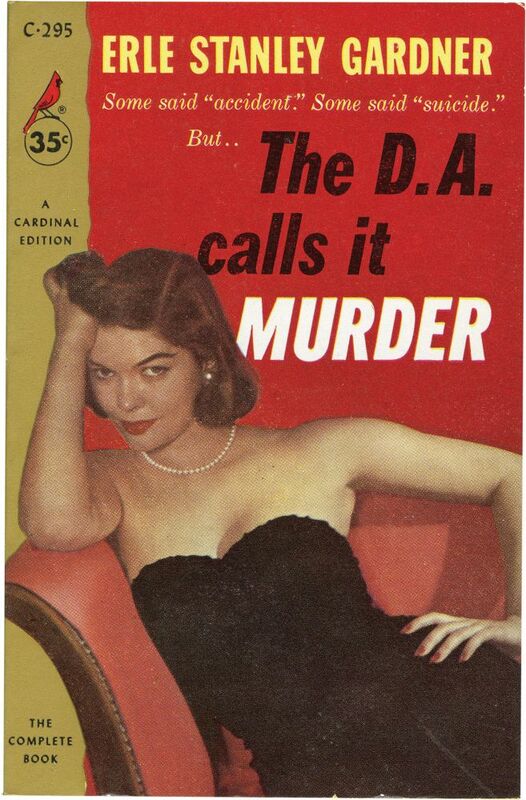 I’ve now read the second and the third – The D.A. 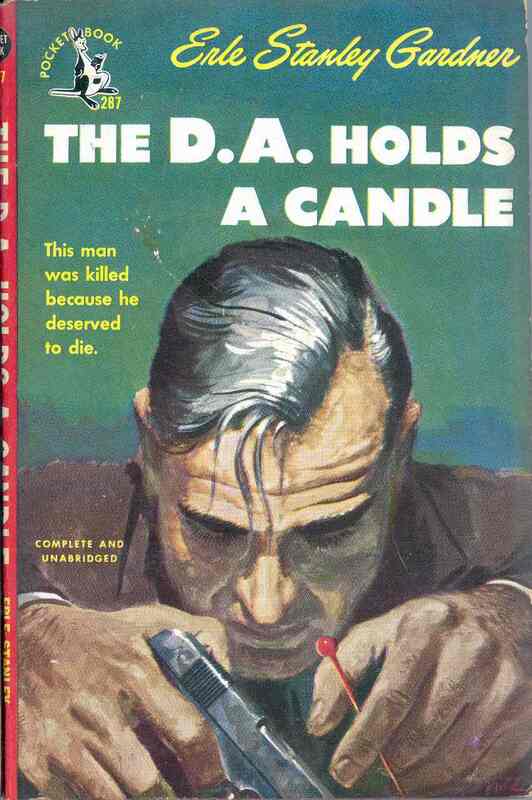 Holds a Candle and The D.A. Draws a Circle – and my enjoyment has increased with each perusal. As I mentioned in the review cited above, these books are hard to find. I’ve been getting them via interlibrary loan from the Enoch Pratt Free Library, a wonderful facility which since 1971 has been designated as the (Maryland) State Library Resource Center. Alas, as the series progresses, the volumes themselves are proving to be increasingly fragile. As I was reading in bed the other night, I noticed small pieces of dark brown paper appearing on the blanket. These proved to be escaping from the book’s binding. I prodded the larger piece back into place, but it showed no great inclination to remain there. Now Pratt seems blessedly reluctant to discard books like this, but I can’t help feeling that I might be the last person to borrow this poor decrepit entity. One of the things I’ve really been enjoying about this series is its artless evocation of a bygone era. In the era between the two World Wars, Southern California was already undergoing some dramatic changes, yet the orange groves, apple orchards, small towns, (like the fictional Madison City where Doug Selby plies his trade) and country roads were still a vivid presence. The sheriff drove rapidly over the grade, out of the orange lands into the app;e country, and then down a gradual slope between snow-capped mountains to where the country abruptly changed from fertile soil to arid desert. The dialog is snappy, but Gardner does not overdo the noir lingo. 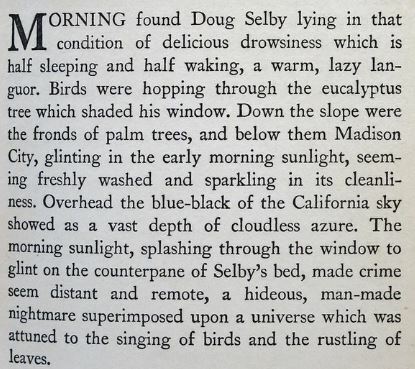 Doug Selby is a very appealing protagonist. Alongside him works Sylvia Martin, intrepid reporter. (Think Lois Lane of Superman fame.) 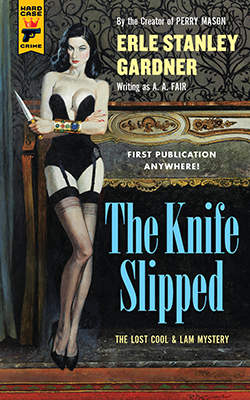 In many noir novels and stories, the only woman on the scene is the perennial femme fatale, so Sylvia’s presence is refreshing, to say the least. “You’re a woman,” Selby said. Oh, yes, he certainly is…. The Selby novels are by and large composed of such dialog exchanges. They move along at a rapid clip; I’m finding them to be excellent escapist reading. Passages like this are welcome, as they’re so rarely encountered in this context. 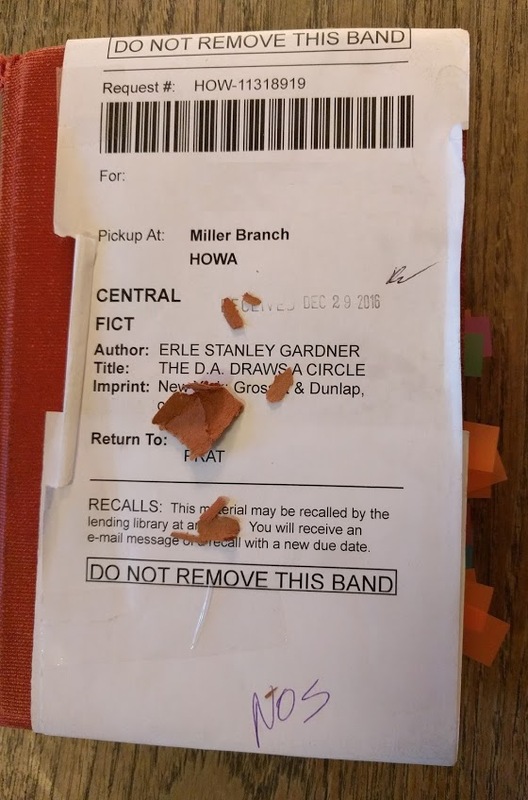 The archive of Erle Stanley Gardner now resides at the Harry Ransom Center of the University of Texas at Austin. Gardner’s study has been digitally recreated at this site. Click here to view. Congratulations to all those who made it to the Women’s March on Saturday. My heart was with you. It sounded at first, from my seat in the plaza below the inaugural platform, like a helicopter flying low over the mall, or perhaps an unusually loud jet taking off from Reagan National Airport. But I turned to discover the noise was the combined booing and jeering of thousands in the sea of red “Make America Great Again” caps. They weren’t only booing and jeering Schumer, the highest ranking Democrat in the land; they were booing and jeering what he was saying. Is this what we’ve come to, America? I’ve been very late getting this done, I know. This is mainly due to my work on what was the most challenging book discussion preparation I’ve ever undertaken. The book was Paul Theroux’s Deep South. The discussion took place on this Thursday past, and I’m glad to report that it went quite well, mainly due to the lively and insightful comments of my colleagues in AAUW Readers. Mostly it’s done. And what a sweet relief! Audiobooks are very vital to me. I only listen to them in my car, and I want to feel a sense of happy anticipation when, belted in and ready to roll, I fire up my current choice. 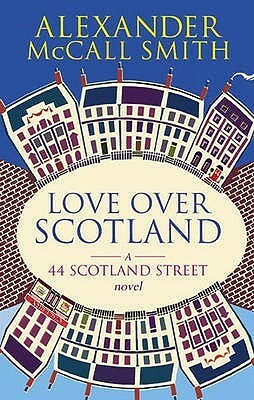 I knew I’d get that good feeling from a work by Alexander McCall Smith, and so I am now listening to the 44 Scotland street series. Love Over Scotland, the third entry, features a prose passage so moving – at least it was to me – that as soon as I got back home, I downloaded the novel in its entirety. “My dear Domenica,” he began. “I write this letter seated at the kitchen table. It is one of those cold, bright winter mornings that I know you love so much, and which make this city sparkle so. But the letter I write you will be a sad one, and I am sorry for that. When one is alone and far from home, as you are, then one longs for light-hearted, gossipy letters. This is not one of those. “Yesterday, as I was painting his portrait, Ramsey Dunbarton, a person I have known for a good many years, died in my studio. He was seated in my portrait chair, talking to me, when he suddenly stopped, mid-anecdote. I thought nothing of it and continued to paint, but when I glanced from behind my canvas I saw him sitting there, absolutely still. I thought that he had gone to sleep and went back to my painting, but then, when I looked again, he was still motionless. I realised that something was wrong, and indeed it was. Ramsey had died. It was very peaceful, almost as if somebody had silently gone away, somewhere else, had left the room. How strange is the human body in death–so still, and so vacated. That vitality, that spark, which makes for life, is simply not there. The tiny movements of the muscles, the sense of there being somebody keeping the whole physical entity orchestrated in space–that goes so utterly and completely. It is no longer there. “You did not know Ramsey. I thought that you might perhaps have met him at one of my drinks parties, but then, on reflection, I decided that you had not. I do not think that you and he would necessarily have got along. I would never accuse you of lacking charity, dear one, but I suspect that you might have thought that Ramsey was a little stuffy for you; a little bit old-fashioned, perhaps. “And indeed he was. Many people thought of him as an old bore, always going on about having played the part of the Duke of Plaza-Toro at the Church Hill Theatre. Well, so he did, and he mentioned it yesterday afternoon, which was his last afternoon as himself, as Auden puts it in his poem about the death of Yeats. But don’t we all have our little triumphs, which we remember and which we like to talk about? And if Ramsey was unduly proud of having been the Duke of Plaza-Toro, then should we begrudge him that highlight in what must have been a fairly uneventful life? I don’t think we should. “He was a kind man, and a good one too. He loved his wife. He loved his country–he was a Scottish patriot at heart, but proud of being British too. He said that we should not be ashamed of these things, however much fashionable people decry love of one’s country and one’s people. And in that he was right. “He only wanted to do good. He was not a selfish man. He did not set out to make a lot of money or get ahead at the expense of others. He was not like that. He would have loved to have had public office, but it never came his way. So he served in a quiet, rather bumbling way on all sorts of committees. He was conservative in his views and instincts. He believed in an ordered society in which people would help and respect one another, but he also believed in the responsibility of each of us to make the most of our lives. He called that ‘duty’, not a word we hear much of today. “There is a thoughtless tendency in Scotland to denigrate those who have conservative views. I have never subscribed to that, and I hope that as a nation we get beyond such a limited vision of the world. It is possible to love one’s fellow man in a number of ways, and socialism does not have the monopoly on justice and concern. Far from it. There are good men and women who believe passionately in the public good perspectives. Ramsey was as much concerned with the welfare and good of his fellow man as anybody I know. “People said that he had a tendency to go on and on, and I suppose he did. But those long stories of his, sometimes without any apparent point to them, were stories that were filled, yes filled, with enthusiasm for life. Ramsey found things fascinating, even when others found them dull. In his own peculiar way, he celebrated the life of ordinary people, ordinary places, ordinary things. “I suspect that Scotland is full of people like Ramsey Dunbarton. They are people whose lives never amount to very much in terms of achievement. They are not celebrated or fêted in any way. But there they are, doing their best, showing goodwill to others, paying their taxes scrupulously, not cheating in any way, supporting the public good. These people are the backbone of the country and we should never forget that. “His death leaves me feeling empty. I feel guilty, too, at the thought of the occasions when I have seen him heaving into sight and I have scuttled off, unable to face another long-winded story. I feel that I should have done more to reciprocate the feelings of friendship he undoubtedly had for me. I never asked him to lunch with me; the invitations always came from him. I never even acknowledged him as a friend. I never told him that I enjoyed his company. I never told him that I thought he was a good man. I gave him no sign of appreciation. “But we make such mistakes all the time, all through our lives. Wisdom, I suppose, is seeing this and acting upon it before it is too late. But it is often too late, isn’t it?–and those things that we should have said are unsaid, and remain unsaid for ever. He finished, read it through, and then very slowly tore it up. He would not send it to Domenica, even if he meant every word, every single word of it. I’d never heard of Cesar Aira until I encountered him in a review in the Wall Street Journal written by Nathaniel Popkin. Popkiin was actually reviewing a novel called Zama by Argentine writer Antonio Di Benedetto. In the concluding paragraph, reference was made to Episode in the Life of a Landscape Painter by Cesar Aira, Di Benedetto’s fellow Argentinian. Two things about Episode immediately piqued my interest. First, there was the fact that the protagonist was a painter; his name is Johann Moritz Rugendas. Secondly, Rugendas had been encouraged to travel to South America in order to find new and exotic subjects with which to fuel his artistic impulses. The individual urging him on this course of action was none other than the great explorer and natural scientist Alexander Von Humboldt. Early last year I read The Invention of Nature: Alexander Von Humboldt’s New World by Andrea Wulf. Von Humboldt’s “New World” became my new world – what an absolutely terrific read this was! Had it been up to me, Andrea Wulf would have won every existing literary award and then some. Rugendas was a genre painter. His genre was the physiognomy of nature, based on a procedure invented by Humboldt. The great naturalist was the father of a discipline that virtually died with him: Erdtheorie or La Physique du monde, a kind of artistic geography, an aesthetic understanding of the world, a science of landscape. Alexander von Humboldt (1769–1859) was an all-embracing scholar, perhaps the last of his kind: his aim was to apprehend the world in its totality; and the way to do this, he believed, in conformity with a long tradition, was through vision. And so I read Episode in the Life of a Landscape Painter. Though slight in length – more a novella than a novel – it is one of the most unusual and powerful works of fiction I have ever encountered. Johann Moritz Rugendas was an actual historical personage, a German artist of the early nineteenth century who traveled to South America in search of new vistas to paint. But although this novel takes Rugendas’s life as its starting point, it diverges significantly from his actual biography. This is nowhere more true than in regard to the episode in the title. Actually, ‘episode’ is a misleadingly innocuous term to describe what actually happens to Rugendas shortly before the novel’s midpoint. I don’t want to say anything more about it except this: it haunts me. I do think I can say that for me, this novel is about two things: the courage that individuals are capable of in extreme circumstances, and the sustaining devotion that one friend freely gives to another. The writing is extraordinary. 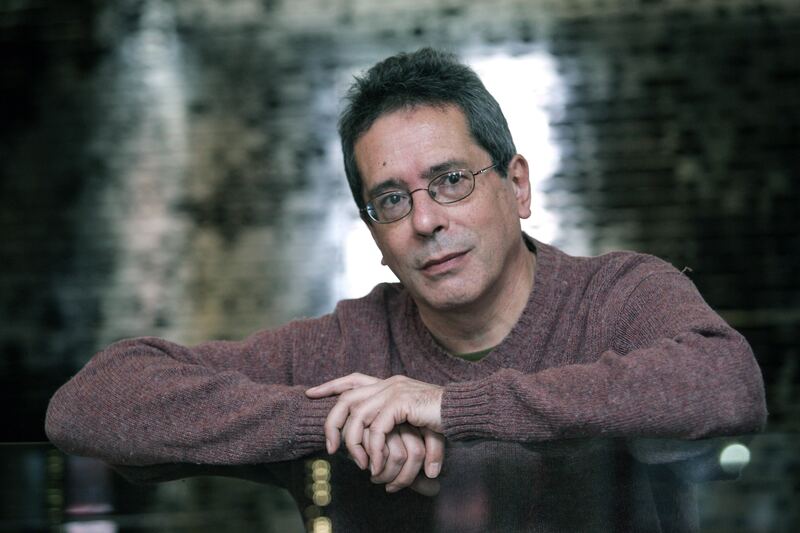 Kudos to Cesar Aira for his intense lyricism and meticulous descriptions, and to Chris Andrews, the translator. At a recent book club discussion I attended, some readers expressed impatience with descriptive passages that impede the pace of a book’s plot. While I have encountered this from time to time in my own reading, the sheer beauty of the prose in Episode was one of the main things that kept me riveted to the narrative. It was not really rain so much as a benign drizzle, enveloping the landscape in gentle tides of humidity all afternoon. The clouds came down so low they almost landed, but the slightest breeze would whisk them away . . . and produce others from bewildering corridors which seemed to give the sky access to the center of the earth. In the midst of these magical alternations, the artists were briefly granted dreamlike visions, each more sweeping than the last. Although their journey traced a zigzag on the map, they were heading straight as an arrow towards openness. Each day was larger and more distant. As the mountains took on weight, the air became lighter and more changeable in its meteoric content, a sheer optics of superposed heights and depths. 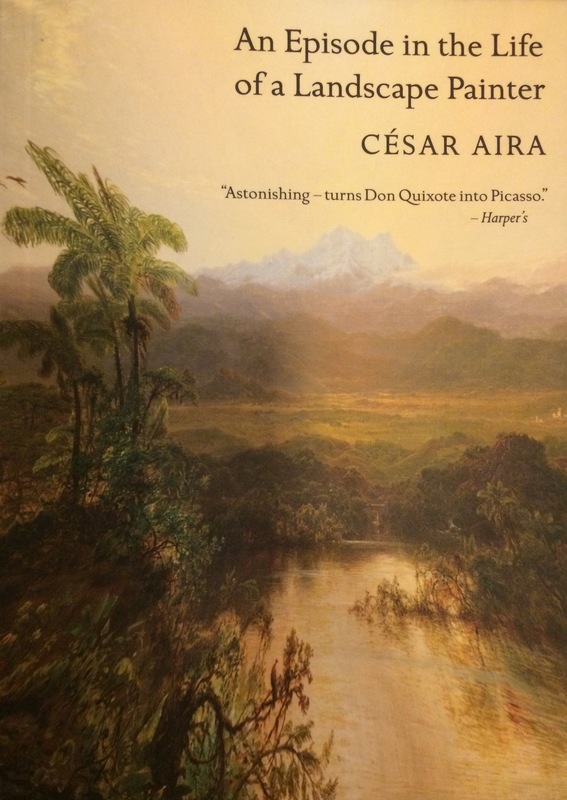 I hope to read more of the works of Cesar Aira; I’d like to read Zama as well. 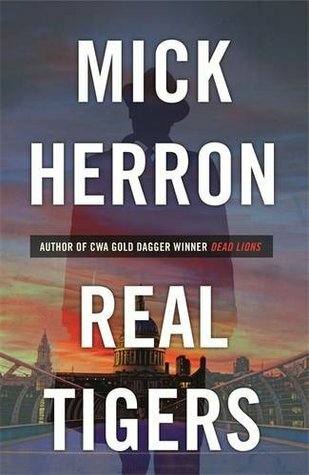 How is it that I read only one historical mystery this year? I’m a great fan of historical fiction, so I can’t quite figure this out. Anyway, the book in question is The Lady Chapel by Candace Robb, Marge’s choice for our November Suspects discussion. This novel is the second in Robb’s Owen Archer series. 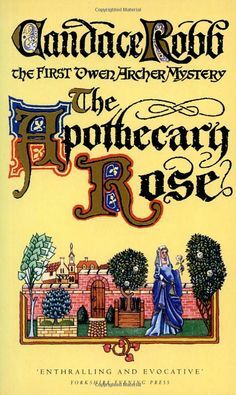 I’d read the first, The Apothecary Rose, several years ago, when I needed a Middle Ages “fix.” It did the job admirably. 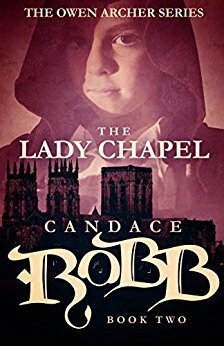 I therefore had high hopes for The Lady Chapel and I”m glad to say those hopes were fulfilled. I’ve already downloaded the next book in the series, The Nun’s Tale. I look forward to reading it. Elizabeth Edmondson’s two entries in the series A Very English Mystery are a delight, tailor made for the Anglophiles among us. 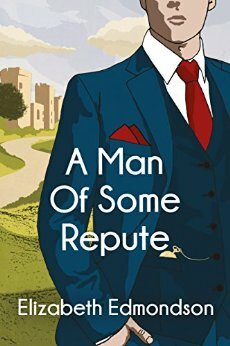 With their setting in the quintessential village of Selchester in the postwar years, the milieu is rife with rumor, scheming and gossip, readily inviting comparison to the world of Miss Marple’s St. Mary Mead. A Man of Some Repute combines the classic murder mystery formula with the intrigue of intelligence work. Thus there are twice as many secrets and intrigues for the varied cast of characters to contend with. What fun! 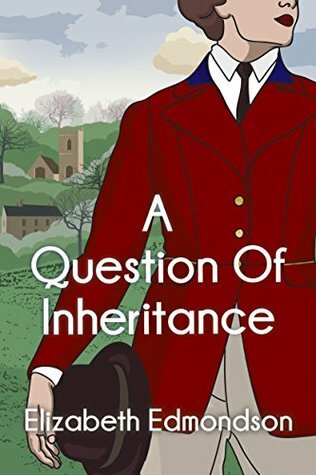 I’m still in the midst of reading A Question of Inheritance, but similar plot elements are already in play. On the occasion of the 2014 Oxford Literary Festival, Elizabeth Edmondson penned a spirited defense of genre fiction. Unfortunately, we’ve lost this gifted author: she passed away early last year. I continue to be a one-person Alexander McCall Smith Fan Club. This year I reread The Sunday Philosophy Club, Chris’s pick for the Usual Suspects. Once again, Once again, I reveled in this narrative. Isabel Dalhousie, with her love of art and music, and of the city of Edinburgh, and of deep thought and ethical conundrums – both fascinates and attracts me. As always, McCall Smith’s writing is beautiful. Although it was a pleasant spring evening, a stiff breeze had arisen and the clouds were scudding energetically across the sky, towards Norway. This was a northern light, the light of a city that belonged as much to the great, steely plains of the North Sea as it did to the soft hills of its hinterland. This was not Glasgow, with its soft, western light, and its proximity to Ireland and to the Gaeldom of the Highlands. This was a townscape raised in the teeth of cold winds from the east; a city of winding cobbled streets and haughty pillars; a city of dark nights and candlelight, and intellect. She looked at Jamie. “It may well be right to say that God doesn’t care. But…” She was not sure what she wanted to say about God. She thought that he might be there— embodied somehow in the perfection of the world, or in the sublime harmonies of a great work of music. Of course, if he was anywhere in music, she felt he was in the grave beauty of the motets of John Tavener, or in the more sublime passages of Bach. The architecture of such music was incompatible, Isabel thought, with a world that was meaningless. 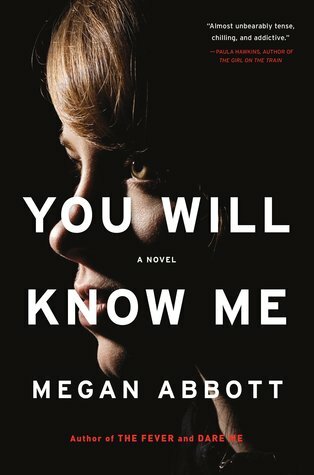 Admittedly, the element of mystery tends to be at best tangential in these novels, but if you wish to spend time in the company of a woman whose restless personality is made up of equal parts intellect and passion – both, I would venture to say in prodigious amounts – then these books are for you. 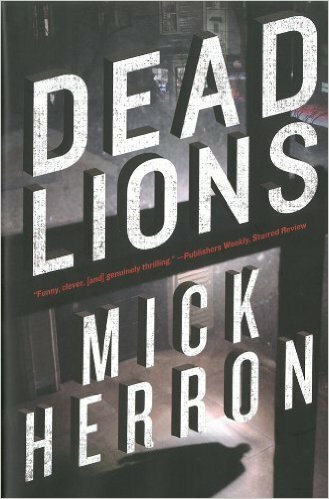 I started Mick Herron’s Slough House series with the second entry, Dead Lions. Would that I had started at the beginning. 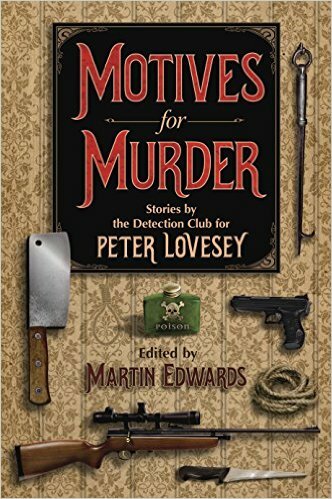 Stylishly crafted and hugely entertaining, these novels are part murder mystery, part espionage, and feature fiendishly ingenious plots. Moreover, the cast of characters is…well, read them and find out for yourself. Here are the first three: . The fourth is due out here late next month. Oh, do hurry up; I’m no end impatient! Finally, there’s my recent quirky predilection for Erle Stanley Gardners’s legal thrillers from the thirties. No, I don’t mean the Perry Mason novels but rather a series featuring District Attorney Doug Selby. As the series commences, Selby has recently been swept into office on the promise of cleansing the office of a recently acquired taint of corruption. He’s young and green, but he’s got fire in the belly. I’m rooting for him – and for his friend, reporter Sylvia Martin. 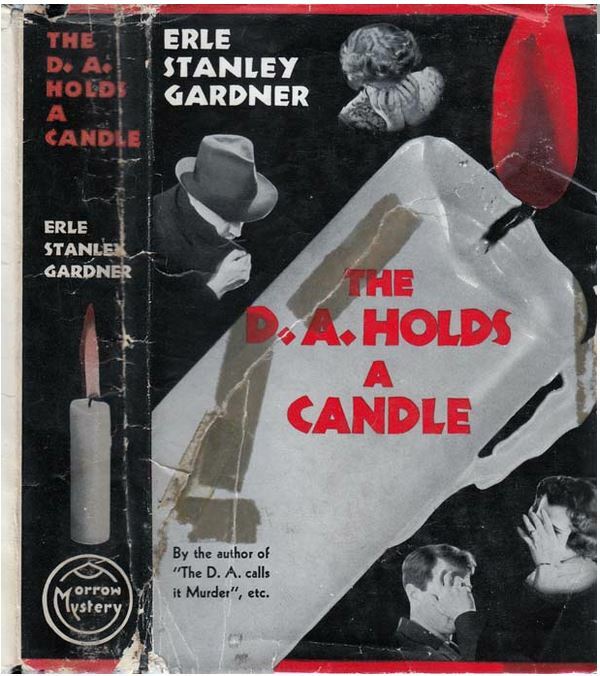 Erle Stanley Gardner eventually had to shutter his law practice in order to make room in his life for his writing compulsion. Have a look at his bibliography and you’ll understand why. What Was Mine seems to have come and gone in obscurity; You Will Know Me, on the other hand, has made quite a few Best of 2016 lists (such as this one from the Washington Post). In my view, both are excellent and provocative novels, good for book discussions – and possible film adaptation. 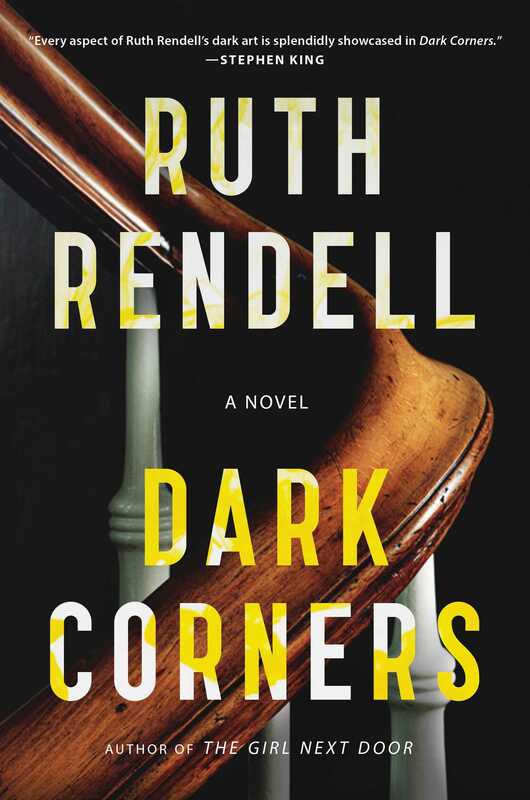 This was the year of saying farewell to the brilliant Ruth Rendell. Dark Corners, her last book, did not feature the now-retired Detective Inspector Reginald Wexford. 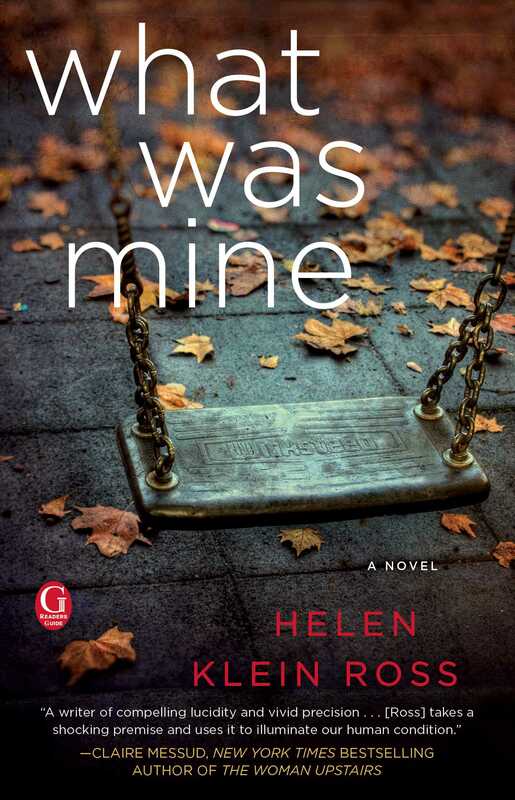 I found it very satisfying, though not in the same league as A Fatal Inversion and A Judgement on Stone, two of the most devastating works of psychological suspense that I’ve ever read, or probably ever will read. 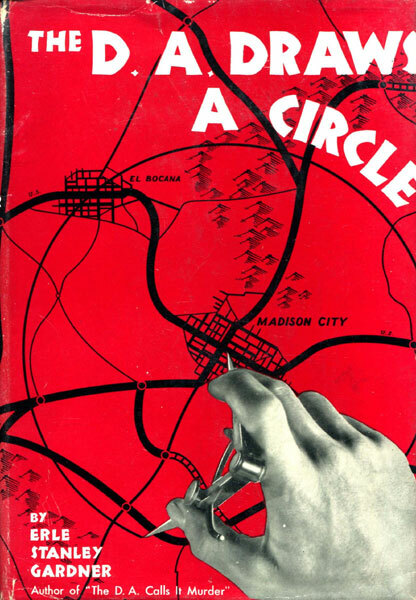 Some works of crime fiction combine elements of two subgenres in their narratives. I’m thinking in particular of psychological/domestic suspense and police procedural. Clare Macintosh’s I Let You Go is a good example of this. The book begins with an exceptionally tragic hit-and-run accident. The search for the perpetrator uncovers a whole host of secrets that the reader has had scant reason to suspect. And just a bit more than half way though this fairly long (384 pages in hardback) novel, there’s an completely unexpected plot twist that’s nothing short of mind-boggling – or at least, I found it so. Most readers of I Let You Go were blown away by it. It received numerous rave reviews and won the Theakston Old Peculier Crime Novel of the Year Award, edging out some pretty stiff competition in the process. 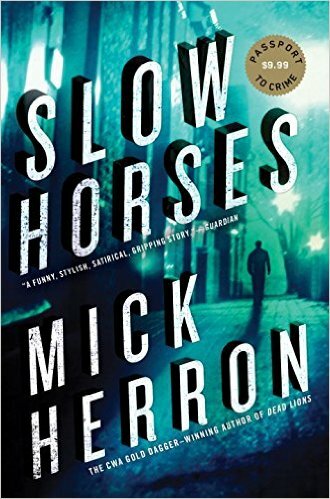 It seems to me that the problem with a book like this is that if word gets out prematurely about the plot twists – there were actually several – the element of suspense is compromised. An even more serious concern, for me at least, is that when I finished it, I felt that I’d been manipulated in a way that wasn’t entirely pleasant. Also, I found that in the aftermath of that completion, I was not left with very much. 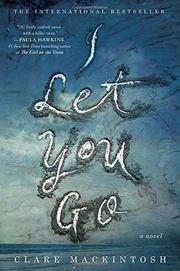 The Kirkus review of I Let You Go – a starred review – concludes with the statement that “Mackintosh has written the kind of book that sticks in the reader’s mind well after the final sentence.” I’m afraid I did not share in that sensation. On the contrary, I felt as though I’d just gorged myself on a large helping of empty calories. 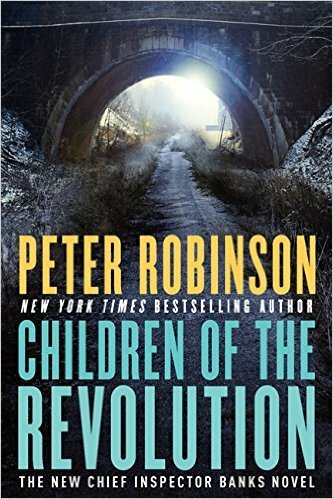 I finally caught up with Peter Robinson’s Children of the Revolution. 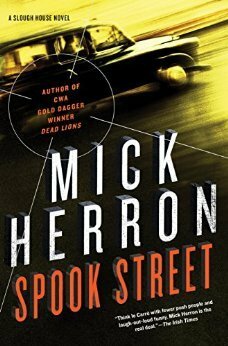 It was a highly enjoyable read for procedural fans like myself. DCI Alan Banks is up to his old tricks, playing fast and loose with procedure, not to mention the repeated warnings from his superior officer, in order to solve a mystery with roots – as is often the case with this series – in the past. What a pleasure it is to see the Banks novels going from strength to strength, starting with the first, Gallows View, from 1987. After we’d both read it, Marge (my “partner in crime” on the library staff) and I predicted a great future for this series. And we were right. Up until now, I’ve had a lot of trouble figuring out what it was that people liked so much about Tana French’s Murder Squad series. I read Broken Harbor for the Suspects, and I would never have gotten through it without the aid of the recorded book. 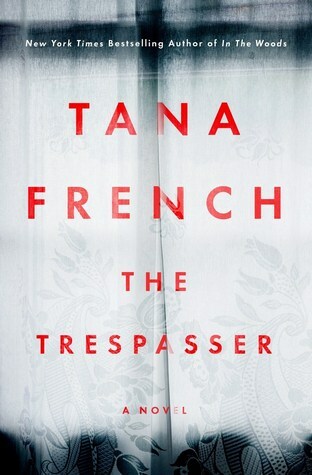 But the reviews for French’s latest, The Trespasser, lured me back. I decided to give it another shot. It worked! I loved the feisty protagonist Antoinette Conway, the depiction of her colleagues and her work environment, and above all her dogged determination in following a case in the opposite direction from where everyone else was headed and all the evidence seemed to lead. I also really appreciated the flashes of humor, which were at times rather acidic but welcome nonetheless. Not done yet but must pause. Part three will cover historical mysteries (in lamentably short supply on my reading list), hard to classify titles, and my picks for the best of the best.